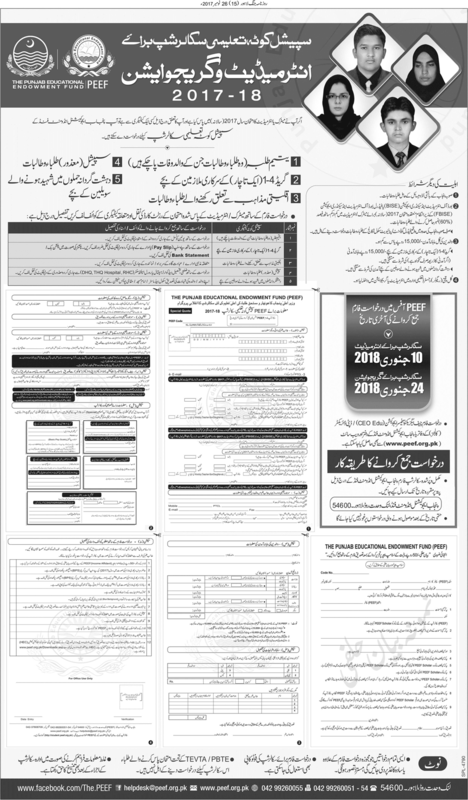 Government of the Punjab is providing the latest special education the Punjab Educational Endowment Fund (PEEF) Scholarship 2019 for the intermediate and graduation to the matric and inters students in Punjab. Those students will be eligible who have to cleared the final exams 2019 of matric and intermediate and they have to belong any one category which is mention below. After fulfilling all requirements by the Punjab Educational Endowment Fund (PEEF) so then you can apply for getting PEEF scholarship 2019-19. There are total four categories which that are very important for taking PEEF scholarships. Many of the students are getting PEEF scholarship 2019 by the Punjab Government. 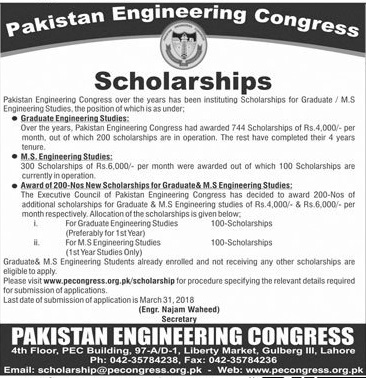 It’s very well step by the Chief Minister of Punjab (CM) Mian Shahbaz Sharif for those needy candidates who are eligible for getting PEEF scholarship for continue their studies. All those interested, talented and willing candidates who want to apply for obtain PEEF scholarship so they must be follow the submission of applications form to the PEEF office. Here we are mentioning best easy way for applying so you can easily find out the applications form from here online. Application form with complete applying method you can easily download from this page, Vise Here More Scholarships. Orphan Students (Those students whose parents had been late. Those students child of the government candidates must be fall in Grade 1 to 4. Candidates are eligible who have to belong Minority religious. Special disable students male and female. Male and Female students must having the Punjab domicile. Matric or Intermediate must be passed with at least 60% marks by the Board of intermediate and secondary education (BISE) or Federal Board of intermediate and secondary education (FBISE). Parents monthly income must be Rs.15000/- or below than. Only those candidates are liable for giving applications who have to belong Private schools or colleges / Federal Government in the limit of Punjab district. Applications form submits way for these four categories which has been mention below. For Orphan students must be attached photocopy of death certificate issued by the union council along with applications form. For Government Servant children must be attached the photocopy of monthly pay slip with the application form. For minority students must be attached the certificate issued by the religion organization like that church etc. For disable students must be attached the photocopy of certificates issued by the DHQ, THQ Hospital and RHC health center or hospital. Application scholarship form along with all required documents must be send to the following PEEF office address given below latest due dates mention above. I have done my inter in 2015. Can i get scholarship?